Posted on September 25, 2013 by Financial Underdog	in education, history. Personally, I think Canadian banknotes are truly unique. Especially the latest series – so-called “polymer series”. Being basically plastic, they’re designed to be extra durable – and thus saving money on printing and replacing (God knows they’re printing enough money already). They also have a myriad of security features paper money didn’t have – holographic elements, transparent windows, raised characters, hidden numbers. I especially like certain elements of Canadian pride shown on our money. Have you ever wondered who are the people pictured on our money? Even pictures on back sides are connected to Canadian history. Why are they shown there? I had nothing to do this Sunday, so I’ve looked up some information on Canadian banknotes and imagery on them. So, next time you’re trying to make small talk with a good-looking cashier when grocery shopping, feel free to pass on this information. William Lyon Mackenzie King was a political figure in Canada from 1920’s and well into 1940’s. He served as a Prime Minster of Canada on multiple occasions, and some of his achievements can still be enjoyed today by everyday Canadians. William Lyon Mackenzie King was the longest serving Prime Minister of Canada – he ruled Canada for over 22 years . He wasn’t very popular with voters (despite being elected a number of times) and would probably never get elected if he was alive today, but he was a true diplomat and had a talent for striking alliances. “A true man does not only stand up for himself, he stands up for those that do not have the ability to”. CCGS Amundsen is an Arctic icebreaker and research vessel operated by Canadian Coast Guard. Originally known as CCGS Sir John Franklin, this icebreaker was built in 1979 in North Vancouver. After serving for a number of years, it was decommissioned after it was deemed surplus (fancy term for “useless” or “not needed”). 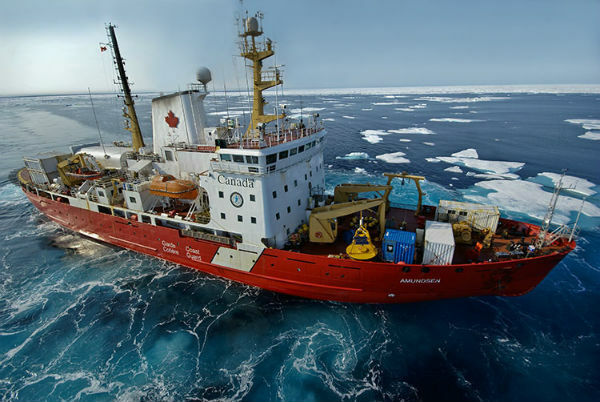 In 2003, CCGS Sir John Franklin got a new lease on life after universities around Canada decided to pool the money together, and retrofit the icebreaker to use it as a research vessel. It was to be operated by Canadian Coast Guard half the time – so in reality the icebreaker is shared by scientists and Canadian Coast Guard – kind of like how roommates buy a flat screen TV together so everyone can enjoy it at scheduled times. This was the moment when the name was changed to CCGS Amundsen (in honor of Arctic explorer Roald Amundsen). – CCGS stands for “Canadian Coast Guard Ship”. – Roald Engelbregt Gravning Amundsen (after whom the icebreaker is named) discovered South Pole in 1911 and was the first one to reach North Pole in 1926. He disappeared during a rescue mission in 1928 and his body has never been found. – CCGS Amundsen is powered by 6 diesel engines – 18,000 horse power combined! That is roughly equal to 130 Honda Civics.